Banque Cantonale Vaudoise Review - Can I trust them and how good are they? 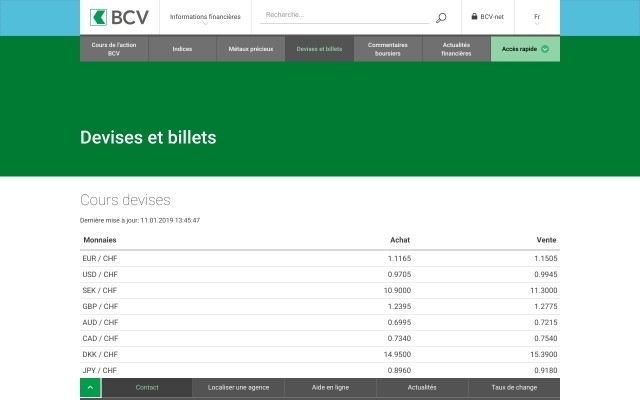 Banque Cantonale Vaudoise Review: Is it safe? How does it work? What are the rates? Is Banque Cantonale Vaudoise the best option for sending money abroad? Compare your options to make sure you get the best exchange rate and lowest fees for your transfer. Tell Banque Cantonale Vaudoise where you need to send money and to whom. Banque Cantonale Vaudoise will convert your money in the recipient's currency and send it to him through the selected pay-out option. Monito is an independent company based in Switzerland. Banque Cantonale Vaudoise is one of the 300+ providers we compare and review on Monito. While we have affiliate partnership with dozens of providers, we don't have any partnership with Banque Cantonale Vaudoise.